Rabbit anti Bovine, Canine, Equine, Guinea Pig, Human, Mouse, Porcine, Rabbit, Rat, Zebrafish TOMM40L. 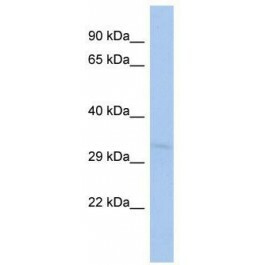 The immunogen for anti-TOMM40L antibody: synthetic peptide directed towards the middle region of human TOMM40L. Synthetic peptide located within the following region: GGAHASYYHRANEQVQVGVEFEANTRLQDTTFSFGYHLTLPQANMVFRGL. Potential channel-forming protein implicated in import of protein precursors into mitochondria. 1X PBS with 0.09% (w/v) sodium azide and 2% sucrose.